As I'm sure you know by now (and if you don't, then welcome!) Tory Burch is having their friends and family sale right now. Everything is 25% off! So it's time to start stocking up on your fall essentials, your Christmas gifts, or just those boots you've had your eyes on. I've put together a little look that I would buy myself if I had alllll the money in the world. I'm really loving this turtleneck sweater. 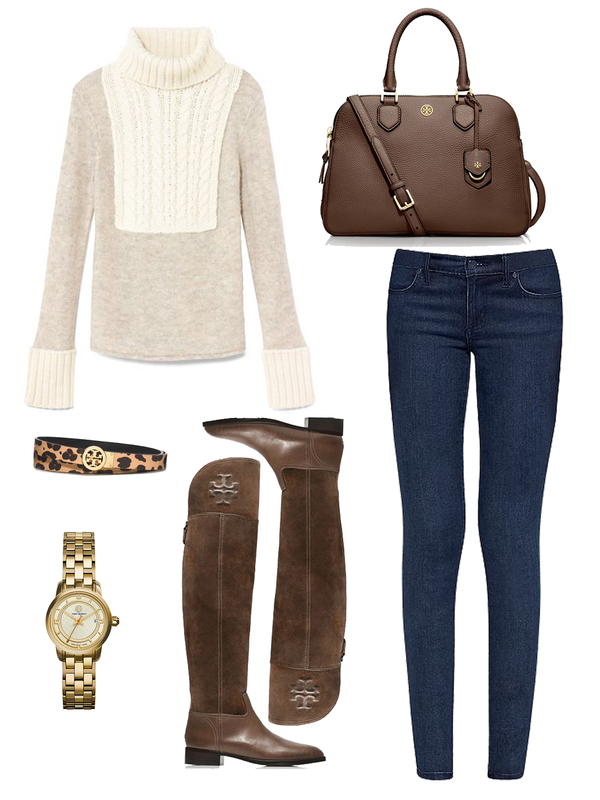 This look is perfect for fall -- whether it's coming or not! Love the handbag and the boots! I would honestly buy everything from Tory if, like you said, I had all the money in the world! Loving their fall collection.